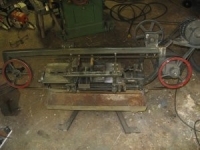 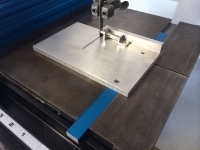 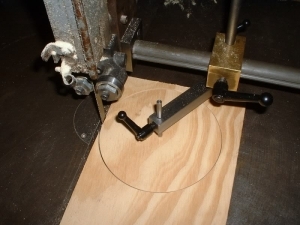 Homemade circle cutting jig for a 24" DoALL bandsaw. 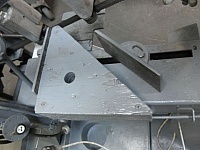 Pivot is 1/4" round and is capable of being swung in or out in relation to the saw blade. 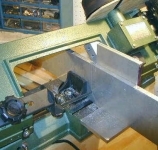 Barrel clamp: 1/4" OD, 14-20 TPI. 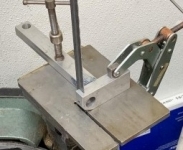 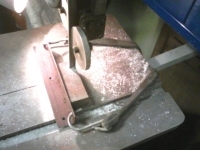 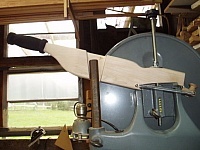 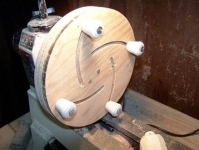 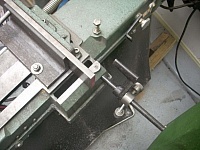 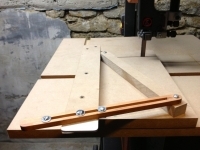 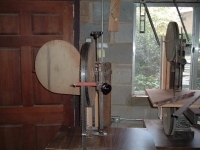 Bandsaw Blade Guide by James S.